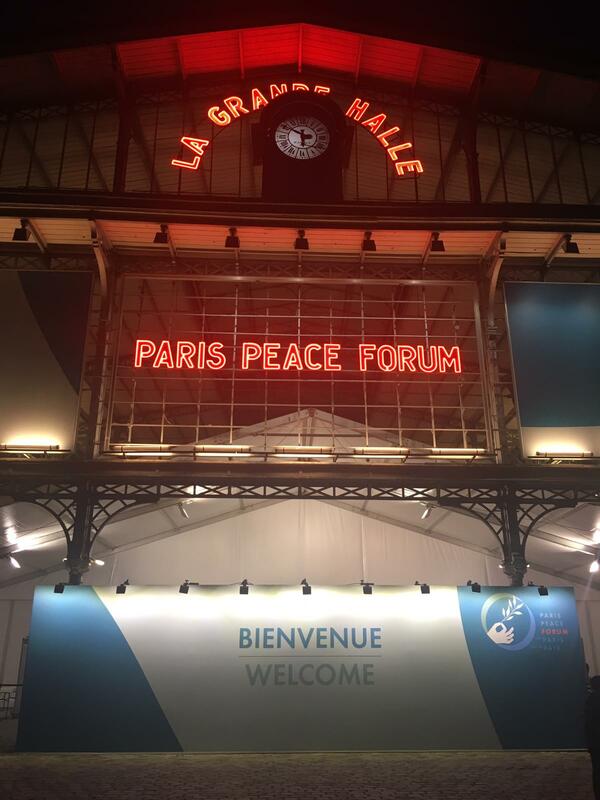 On November 12-13, Luiza de Moura Pallone represented RESAMA at the Paris Peace Forum. The event was an initiative of French president Emmanuel Macron and organized in cooperation by the French government, Sciences Po, Mo Ibrahim Foundation, Körber Foundation, Institut français des relations internationales and Institut Montaigne. The Forum aims to gather key actors on global governance, from States, to international organizations and civil society, that are working towards the development of better governance solutions for today’s global challenges. Noella Richard (UNDP), Miriam Allam (MENA Governance Programme OCDE), Kessy Martine Ekomo (URU), Haifa Dia Al-Attia (Queen Rania Foundation for Education and Development) discussing the role of the Youth in ensuring peace and security in the framework of Resolution 2250 of the UN Security Council. The organization selected 120 governance projects and initiatives from around the world, which presented their work to the participants during the event, generating awareness, networking and possibilities for cooperation.